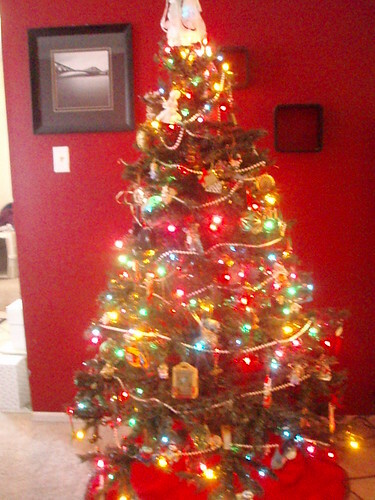 Here is a pic I took of our Christmas tree. It isn’t a very good pic of the tree sorry. ~ by Amber on December 5, 2007.
ahh! pretty tree! pretty tree! today i’m going to a christmas party at the pentagon. it’s supposed to be this AMAZING HUGE party that everyone in the pentagon wants to get to go to. so yeah… i’ll tell everyone about it after i go! Beautiful tree. Thanks for posting a picture.